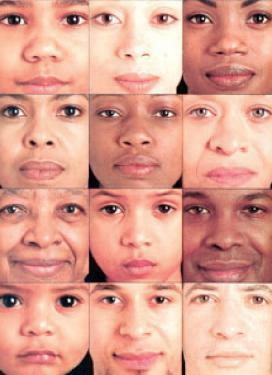 Dozens of research studies have shown that skin tone and other racial features play powerful roles in who gets ahead and who does not. These factors regularly determine who gets hired, who gets convicted and who gets elected. This isn’t racism, per se: it’s colorism, an unconscious prejudice that isn’t focused on a single group like blacks. If colorism lives underground, its effects are very real. Darker-skinned African-American defendants are more than twice as likely to receive the death penalty as lighter-skinned African-American defendants for crimes of equivalent seriousness involving white victims. Take, for instance, two murder cases in Philadelphia involving black defendants — one light-skinned, the other dark. The lighter-skinned defendant, Arthur Hawthorne, ransacked a drug store for money and narcotics. The pharmacist had complied with every demand, yet Mr. Hawthorne shot him when he was lying face down. Mr. Hawthorne was independently identified as the killer by multiple witnesses, a family member and an accomplice. But the lighter-skinned Mr. Hawthorne was given a life sentence, while the dark-skinned Mr. Porter has spent more than a quarter-century on Pennsylvania’s death row. This is so sad and scary. This is really sad.. Its sad to see the many ways we try to omit colorism and racism in our society however the strategies tend to never work. No matter what people have been through and the sacrifices people make to make a difference for equality, discrimination will always play a role in society. This is truly sad, but there is absolutely nothing new about it. What makes it sadder, is that we now have a university (forgotten which one) getting involved with marketing skin lightening products and doctors also pushing the stuff, as indicated by the various brands with names attached to them such as Dr. Varon and Dr. Somchai.